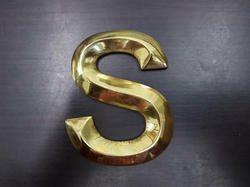 Leading Manufacturer of brass metal letters from Chennai. Brass Metal Letters are known for its quality as our experts are manufactured using top grade brass procuring from trusted vendors. Our collection is available in different sizes, patterns and designs at cost effective prices.